The amount of sunlight being absorbed or reflected by Earth is one of the driving forces for weather and climate. Satellites are providing this information with unprecedented accuracy. The reflecting power of a surface is known as ‘albedo’. Bright snow and ice have a high albedo, meaning they reflect solar radiation back into space, while green areas like forests and fields have a much lower albedo. The lower the albedo, the more energy from the Sun is absorbed. Changes in Earth’s surfaces can therefore affect how much of the Sun’s energy is absorbed – such as a decrease in snow cover or an increase in the area used for agriculture. If the amount of energy absorbed changes, this has an effect on Earth’s energy budget and ultimately affects our weather and climate. To help scientists build better simulations of weather and climate, ESA’s GlobAlbedo project is using satellite data to map changes in Earth’s reflectivity. 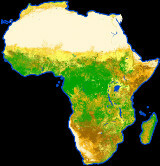 Led by University College London, the team used readings from the Envisat and Spot-Vegetation satellites to produce global surface albedo maps from 1998 to 2011. The maps, available for free online, provide the most accurate measure of Earth’s reflectivity to date. “GlobAlbedo is the first gap-free, 1 km-resolution map of Earth’s land surface with an uncertainty estimate for every pixel. This could only have been produced from satellite data,” said Professor Jan-Peter Muller of University College London, leader of the GlobAlbedo project. 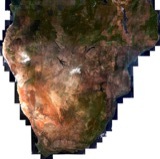 By combining data from different satellite sensors, scientists have maximised the coverage and created a time series that can be extended to include historical as well as future satellite measurements. The maps have proven useful to a variety of users, including the UK Met Office. Scientists there have been using them to update the land surface albedo information in the Met Office's operational Global Atmosphere weather model, resulting in more accurate weather predictions and climate forecasts. Other case-studies have been looking into different uses of land albedo. These include investigating the effect of anthropogenic changes in land cover on Earth’s energy balance, studying how agricultural practices influence heat waves and verifying climate models. The mapping and monitoring of Earth’s albedo will continue with ESA’s recently launched Proba-V satellite and the future Sentinel-3 mission being developed under Europe’s Global Monitoring for Environment and Security programme, Copernicus.